As we delve deeper into the year and festival season line-ups begin to take shape, Tomorrowland main stage resident Yves V has not only announced the return of his V Sessions party concept hosting an arena at this year’s edition in June, but now the Belgian has also unveiled his first release of 2017 with ‘Find Your Soul’. 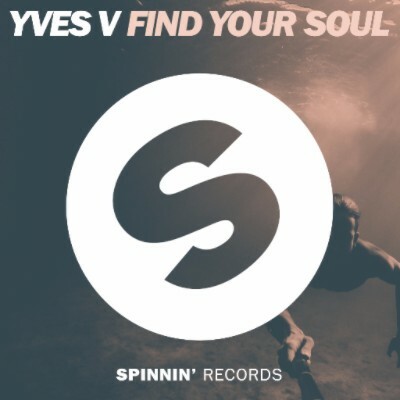 Landing on Spinnin', ‘Find Your Soul’ takes a classic nod to pitched-up vocals underpinned by pumping beats. Punches of electro, big-room eruptions and a bridge that stealthily builds before thwacks of synth permeate your ear drums, Yves enlists an “energetic drop, with a mysterious break for a full-throttle festival” track. It has already reeled in support from names including Dimitri Vegas & Like Mike, Lost Frequencies and David Guetta – and expect further dancefloor activity this Spring as Yves takes his live sound to Protocol @ Miami Music Week and across Asia with a tour this March.